…just love these wings. 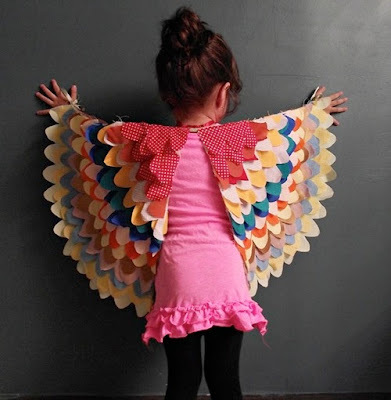 I've got to make them for tink, it's got to be the prettiest use for all those little fabric scraps. Hi Rachael - love the blog and love that cute giraffe. Good luck with your new venture - your quilts are fantastic, I'm sure you will do well.